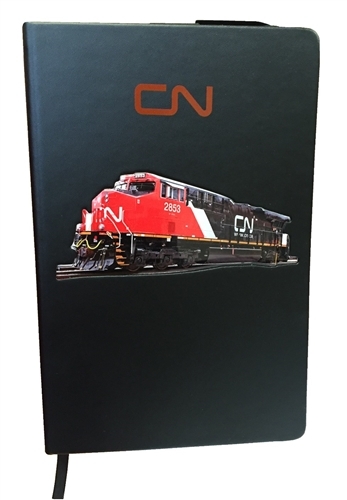 This hardcover bound journal has 192 perforated ivory lined pages as well as a ribbon bookmark. 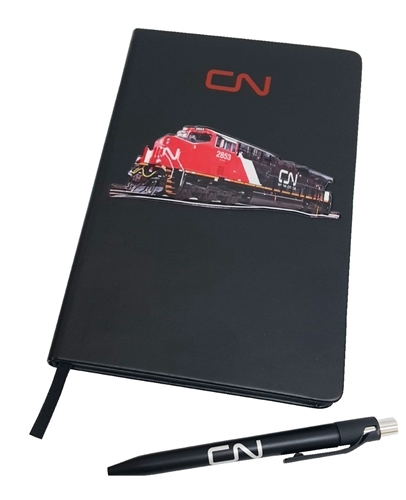 Includes a plastic push-action ballpoint pen which secures itself in the pen loop connected to the top of the journal. 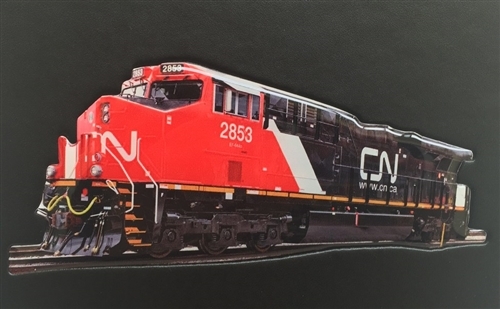 Featuring the CN logo as well as a beautiful lifelike image of a locomotive on the front. Product dimensions:	53/4 " x 83/4 "